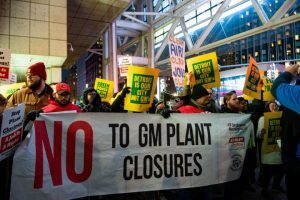 Just last year, Korean autoworkers won major concessions against GM’s threats to end its Korean operations by threatening mass strikes, conducting illegal job actions, office occupations, and even trashing the GM Korea CEO’s office. Read more! Bob Barnetson, Athabasca University prof, provides an overview of the labour reforms introduced by the NDP, and what might happen to those reforms should Jason Kenney’s United Conservative Party form government in just a few months. 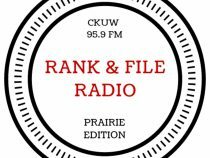 He also provides an update on bargaining and impending faculty strike at Athabasca University. And Regan Boychuk from Reclaim Alberta explains what Thursday’s RedWater supreme court decision means for cleaning up oil and gas wells and creating green jobs in Alberta. Read more! On Jan. 17, the Ford government announced it was – ostensibly – taking three major steps towards ensuring affordability of post-secondary education. It will lower tuition fees by up to 10 per cent at every publicly-funded college and university in Ontario, give students “more choice” over the fees they pay, and “restore financial sustainability” to OSAP, the Ontario Student Assistance Program. Read more! They don’t act from fear, and they know how to help others lose their fear. Read more!